This information is provided here to expedite and simplify the initial contact process by challenge blog owners/coordinators. Please read all information carefully as almost all of what you need should be here. 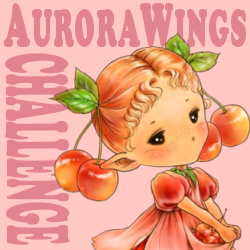 AuroraWings is happy and available to sponsor your challenge blog throughout the calendar year, up to 2 times per blog. I do not impose rules such as 'your blog has to be at least how many years old', 'your blog needs to have a minimum of certain number of followers', or 'need to have large number of participants'. 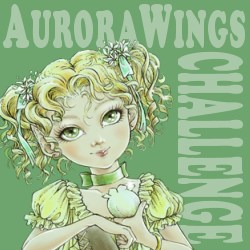 The only thing I would like to ask is that you have AuroraWings as the sole sponsor*of your challenge for which I am providing the images and the prize(s) if it is your regularly scheduled challenge and not a special event such as a blog's anniversary( in which case you may be looking for a large number of sponsors). * Exception to this rule is when a co-sponsor is a non-digi company, as in the case of a physical products manufacturer, such as embellishments. 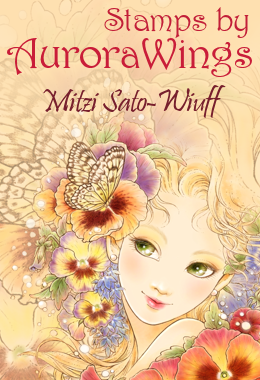 Once the dates are confirmed, it is the responsibility of the person in charge of the challenge to request images/digi files in time for the scheduled event by contacting Mitzi. Please send a list of LINKS to the digis in the Aurora Wings Etsy shop, and not abbreviated titles in your e-mail to request images. Reply will be made within 24 to 48 hours except for during major US holidays. 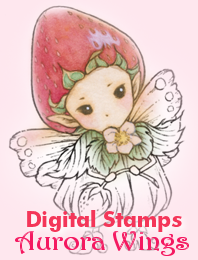 The requested digi's for the DT will be sent to a person in charge in a single e-mail. Distribution of the files to the respective members is a responsibility of person in charge of event coordination. 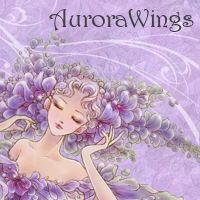 Please understand that AuroraWings cannot send out separate files to a list of e-mail addresses due to time constraints. Please have the winner(s) of your challenge contact me (Mitzi) at studiomiyabi(at)aol(dot)com with the subject line "Winner of [name of your challenge blog]" with a list of links (URLs copied and pasted from browser's navigation bar) to the digi listings they wish to receive. Prize files will be sent to the winner(s) in response directly from me. 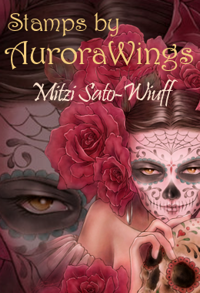 If you are a blog owner or a challenge coordinator and would like Aurora Wings to sponsor your blog, please contact me (Mitzi) at studiomiyabi(at)aol(dot)com with your desired date(s). I no longer accept requests sent via Etsy convo or Facebook private message. I would like to leave these channels for customer service and group related correspondences only. Thank you for your understanding. I have prepaired various styles and sizes of badges for your use. 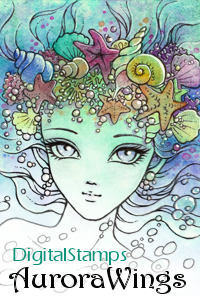 Please feel free to use the badge that fits your layout and style of your blog the most. Sizing down is not a problem, but please do not use them enlarged (size-up) as doing so results in a loss of quality. 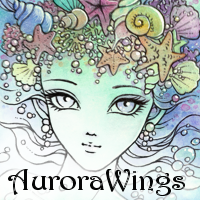 Please link the image to AuroraWings Etsy shop (http://www.AuroraWings.etsy.com). Thank you.